The frequent relocation of citizens of different countries and the dispersed location of assets connected to them, mainly but not limited to real estate, creates numerous inheritance issues. It is common nowadays to live in one country and own assets all over the world. This should be considered when writing a will or transferring assets to a trust. Also, in case your relative passes away, it is necessary to make sure that the inheritance proceeding is well taken care of. 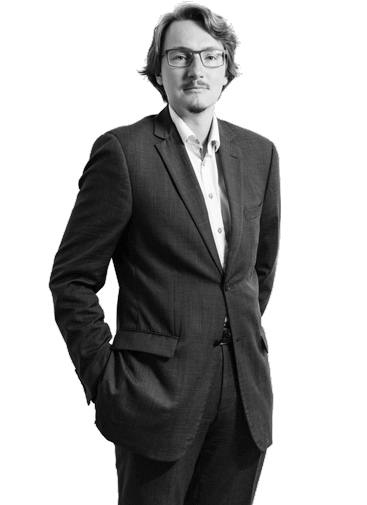 Michal is an expert in the field of wills and estate planning. Already for many years he helps both Czech and foreigner clients to structure their (often cross-border) last wills and testaments, and renders advice on the establishment of Czech foundations and trusts. He also has very extensive experience in the protection of clients’ rights throughout the whole course of inheritance proceedings (which includes locating the property, representation in the proceedings themselves and negotiating effective distribution of the property with other heirs). Majority of our clients are not certain who will be their heir in case they pass away. It is often necessary to analyse the inheritance rules thoroughly in more complex situations which are more and more often in the modern world (e.g. unmarried or divorced couples, children born out of wedlock, homosexual couples, etc.). Under Czech law a last will can be either concluded in front of the Notary, signed in front of two independent witnesses or prepared as a handwritten testament. When concluded in front of the Notary, the will is automatically registered in the Testamentary Register and thus can be easily located by the heirs. We can assure that your will is valid in the Czech Republic and also advise you on the concept of multijurisdictional wills. One of the most valued services by clients – especially Czech emigrants or foreigners who may not be able to travel to the Czech Republic and take part in lengthy inheritance proceedings – is that we represent them based on Power of Attorney and communicate with the Notary and Czech courts in order to conclude the inheritance proceeding in the Czech Republic in the shortest period of time. As a complementary but very important service we are able to administer the estate of the deceased person during the course of the inheritance proceeding and even after its finalisation since the acquired property is often to be sold or disposed otherwise. In case you know that your deceased relative owned property in the Czech Republic, we have means to locate it. We can also help you to find the Notary that has been allocated to the already initiated proceedings. Furthermore we can help you to reopen inheritance proceedings where some property was forgotten and not processed in the course of the inheritance proceedings.